A dressage rider and her husband won a three horse race to buy a secluded farmhouse in the south Cotswolds last week. After years of losing out in sealed bid offers to rival house hunters, Freddie and Alice Whitefield, from Badminton, Gloucestershire, almost didn’t turn up to the auction at The Fox Inn at nearby Hawkesbury Upton on Wednesday, October 23. 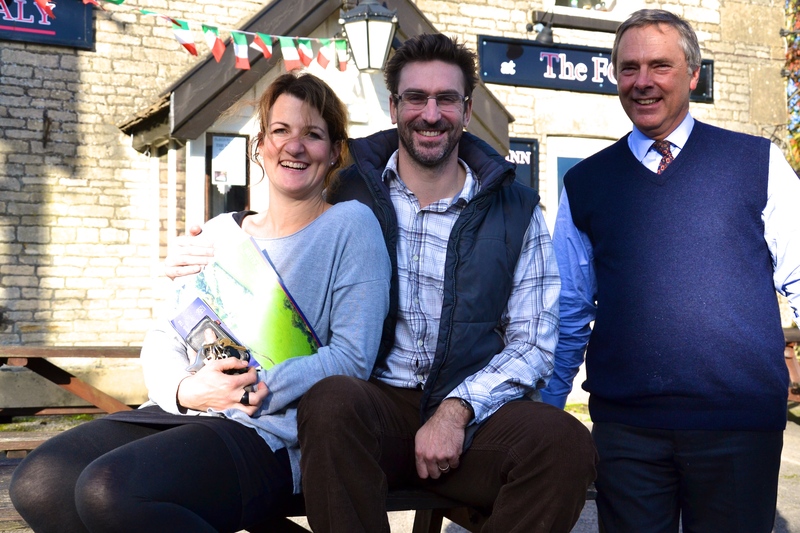 But they did… and left their first property auction having bought a period four bedroom Cotswold stone farmhouse for £496,000. Conducting the auction, Mark Hill of Cirencester-based land and estate agents Moore Allen & Innocent told prospective buyers that they would “not find another property coming up at auction that was quite so removed from the hurly burly of modern life,” than Bucklesbury Farm, at Inglestone Common. Bidding started at £450,000, and there ensued a ding-dong battle between two determined bidders before Freddie Whitefield came in at £492,000. He then saw off one counter bid of £494,000 to secure the house at £496,000. After the auction, Alice Whitefield – a renewable energy consultant – said: “We’ve been looking for a property like this for five years. I’ve been coming to the horse trials at Badminton since I was young, and always wanted to live in this part of the world. Freddie, a building surveyor, quipped: “It’s a big project, no doubt about it. There’s a lot of work to do, but we hope to be in by Christmas… although I’m not sure which Christmas. The farmhouse sits in two-and-a-half acres of gardens, paddocks and woodland surrounded by a stunning rural landscape. It is reached via a mile-long track through the Lower Woods nature reserve: one of the largest ancient woodlands in the south west of England, owned and managed by Gloucestershire Wildlife Trust. The property sits on the edge of Inglestone Common, which is grazed by cattle that are free to wander across the public highway, and is close to Hawkesbury Upton, which offers two country pubs – the Beaufort Arms and The Fox Inn – as well as a post office, primary school, farm shop and parish church.